Joseph Yobo is a household name in the Nigerian Football Team. He is a Nigerian professional footballer who played as a defender (centre back). He was the captain of the Nigerian national team until his international football retirement in June 2014. Joseph Philip Yobo was born on September 6, 1980, in Koni, Rivers state, Nigeria to Williamson Michael Yobo and Comfort Yobo. His father was a renowned journalist, editor, and writer who worked with Tide, a newspaper company. He has 8 siblings whose names are not fully known to the media. Some of his known siblings are Michael Albert Yobo, Nnorum Yobo, and Gideon Michael Yobo. Michael, his elder brother was a footballer while Gideon is a FIFA licensed & English FA registered football agent who currently resides in the United Kingdom. He is married to Blessing Yobo and is a father to Williamson Michael Yobo, their only child. In July 2008, the footballer’s family hit the headlines following the abduction of Norum in Port Harcourt, Rivers State, Nigeria. He was eventually released on July 17, 2008, just 12 days after his abduction. Other details about the footballer are currently not available. Joseph is married to ex-beauty queen Adaeze Igwe, who won the Most Beautiful Girl in Nigeria in 2008. Yobo had arrived Nigeria to spend a short part of the summer holiday. It was during this time that he met Adaeze (the daughter of Ikechukwu and Abigail Igwe) and was forced to spend the whole holiday in Nigeria after falling in love with her. They got married on the midnight of 31st December 2009, in Jos, just a few months after their first meeting. 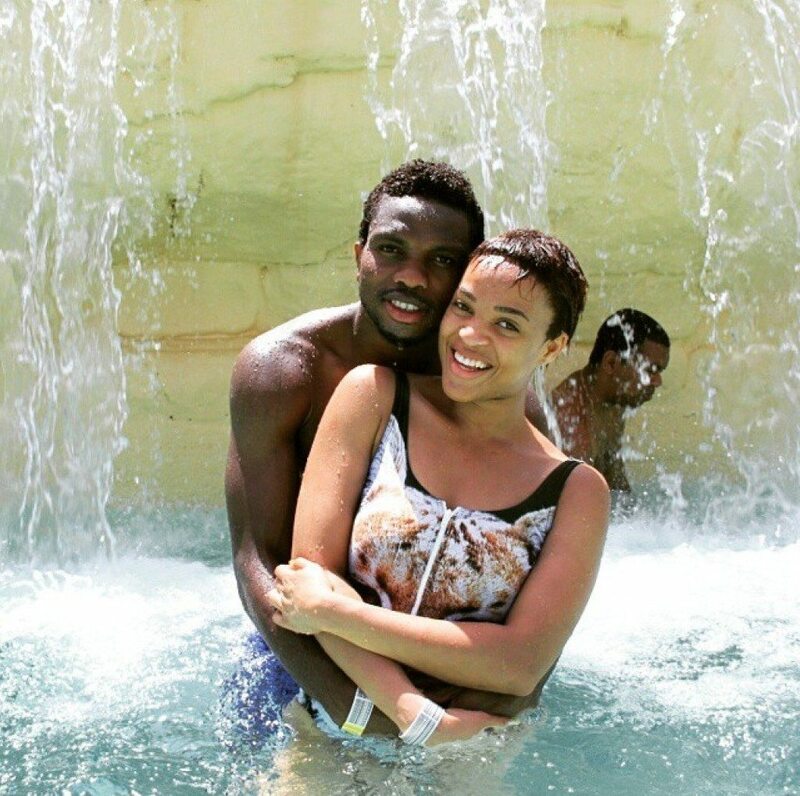 Speculations had it that the couple rushed their marriage because Adaeze was pregnant for the footballer. But Yobo refuted the claims, revealing that they had a rushed wedding because that their people were available at the time and that the period suits his career time. Yobo and Adaeze are blessed with three children – two handsome sons Joey (born 2010), Jayden Yobo (born 2015) and daughter Lexine Yobo (born 2017). Yobo started off his football career in the year 1996. He was just 16 then, and the first club he played for was Michellin-Harcourt. In 1997, he joined the Standard Liége Club and this marked the kick off of his professional senior football career. He made his first-team debut in the year 2000. Joseph’s elder brother, Albert Yobo was Nigeria’s international footballer who played as a defender. He made his debut for Nigeria against Zambia in a friendly in December 1997, at the age of 18. Joseph Yobo was a member of the Nigeria National Team (the Super Eagles) from the year 2001 to 2014. During this period, he made 101 FIFA international appearances, and in all, he scored a total of 7 goals. This qualified him as the record appearance holder for the Super Eagles. The net worth of Joseph Yobo is estimated to be more than N8 million, and that is above 48 million US Dollars. As at 2014, his salary was a whopping €800 000. Joseph Yobo sustained a hamstring injury in a match against Benin which prevented him from participating in the Mexico friendly match. He stayed out for about 5 months before he resumed play. It was rumoured then that he went to Prophet T.B Joshua for prayers and healing. Following Nigeria’s loss to France in the round of 16 at the 2014 FIFA World Cup, Joseph Yobo announced his international retirement. $320,000), Mercedez Benz ML AMG, Audi Q7, Bentley, Continental GT, and Porsche Panamera, S Turbo, Mercedez Benz G63 Wagon, Range Rover Sport. The former Super Eagles player has a mansion in Lekki, VGC, Abuja, a duplex in London and a nightclub known as Extreme Reloaded which he procured for a whopping N80 million. In 2007, Joseph Yobo established the Joseph Yobo Charity Foundation to help underprivileged children in Nigeria. As of 18 July 2007, he has handed out over 300 scholarship awards ranging from primary to university level. Yobo has also started a football academy in the Ogoni region of Nigeria.